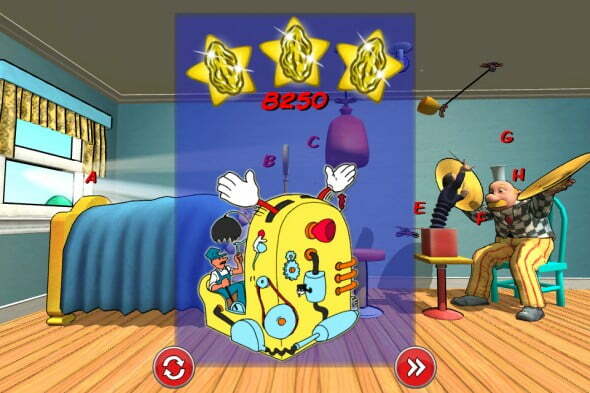 Rube Works: Rube Goldberg’s Invention Game is a brain-teasing puzzler that recalls a fondness for grade school worksheets and early interactive computer games. Read our review to see if you should put your brain to the test. Rube Works: Rube Goldberg’s Invention Game is a brain-teasing puzzler that recalls a fondness for grade school worksheets and early interactive computer games. While the Goldberg-themed game might seem like something players have seen before, it’s really in a class of it’s own. 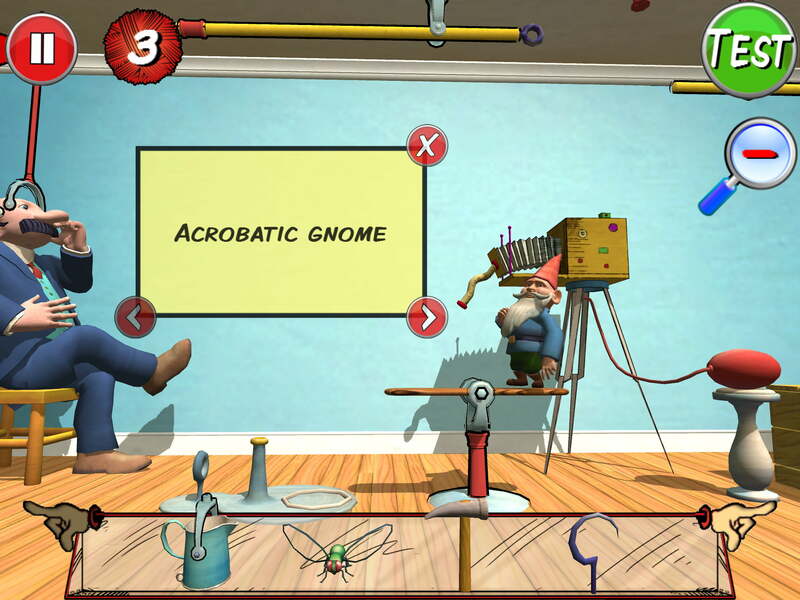 In Rube Works, players must create innovative contraptions designed in the comedic styling of the infamous Rube Goldberg. Think you’re unfamiliar with the legendary Mr. Goldberg? Think again. An American cartoonist who lived from 1883-1970, Goldberg’s genius was behind the Three Stooges movie “Soup to Nuts”, and he was also a celebrated author, sculptor and engineer. He was most famous, however, for his cartoons. Goldberg’s humorous doodles depicted ludicrous inventions that took the most ridiculous and convoluted routes to achieve relatively simple tasks. While the rounded, cartoonish graphics (in the style of Rube’s own political cartoons) suggest this is an exercise in ingenuity for children, the game is actually something of a challenge for adults, also. This is due to the complexity of each component in Goldberg’s equations. Players have a tub of bread dough, a circus monkey, flying rings, a release hook, a frog, disk with brackets, a slide, a pulley (and other sundry goods): using each of these items, how would you close the open window in Goldberg’s parlor? But wait: it gets better. Each component has a series of conditional variables or clues (there are about 2-3 hints per item). Each of these variables interact with other items in the scene’s modest environment (usually a small problem area, such as a driveway or a single room). The only way to get a perfect score is to use every component in Rube’s toolbox (plus the 3 pieces of string needed to connect these zany elements). A perfect score–or any score, for that matter–is represented in the form of golden prunes. Super normal, and as irreverent and individual as Rube himself. Achieve the high score to receive three coveted golden prunes (Goldberg’s highest honor in this brain-teasing puzzle game). Tutorials in Rube Goldberg’s Invention Game are well-developed and explanatory, and the first level offers a very beginner-friendly walk-through. Mouse-controlled, player’s interact with an environment that is little more than a screen’s width, but that can be manipulated to represent 180-degree views. Users double-click to read about a toolbox item via it’s pop-up dialog box, and click-and-drag an item to place it almost anywhere in the environment. Check how the lineup of elements interacts with one another by clicking the green “Test” button in the upper right-hand side of the screen; this initiates a test-run of the contraption that’s been constructed thus far. There are 18 head-scratching levels to contend with, and players who love brain teasers won’t disappointed with this Goldberg homage. An overview of the challenges aspiring inventors face in Rube Goldberg’s Invention Game. 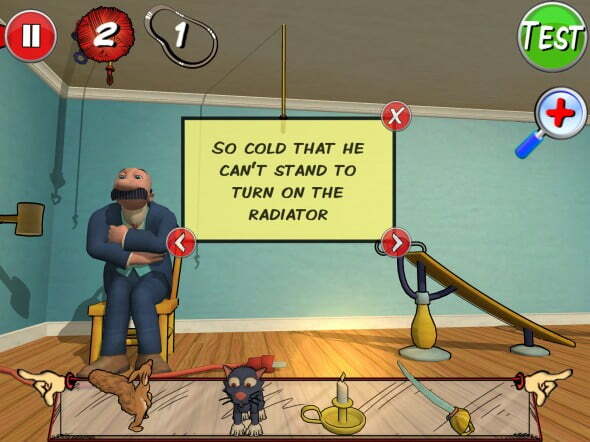 Use the “paranoid” squirrel to find Goldberg’s simple way to turn up the heat on a cold day. A gnome is totally what I would have used to take a selfie. Thankfully, Goldberg and I were thinking the same thing. There is no penalty for retries or do-overs (thank goodness! ), and if a perfect score wasn’t at first achieved, aspiring inventors can try, try again. 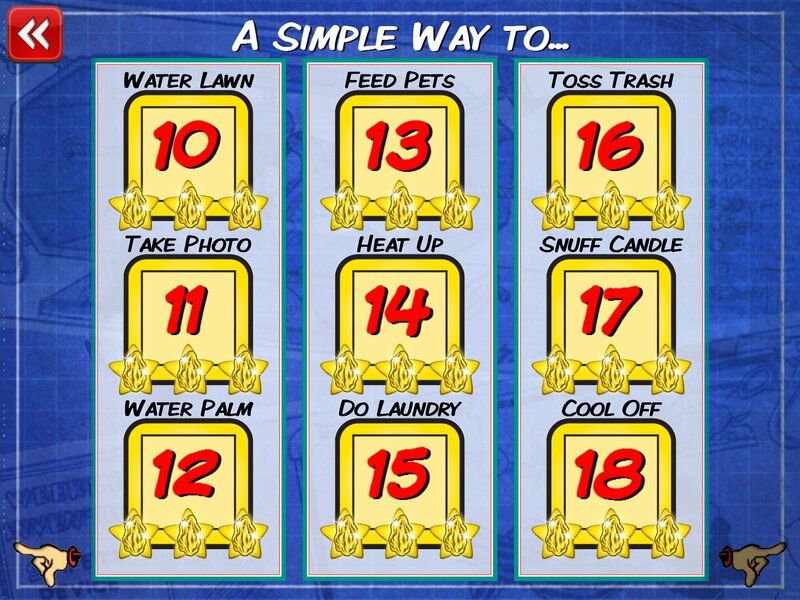 Testing the experiment is part of the game, and clicking the green “Test” button initiates a trial run of each attempt. Items are combined using Goldberg’s user-friendly A-B-C-D format: chicken goes in spot A, bucket goes in spot B to catch the falling tears of the chicken after he sees his wife in a pie, spot C is a stumper and this review offers no freebies! You figure out where the sleeping gedunk hound goes–no one helped me!